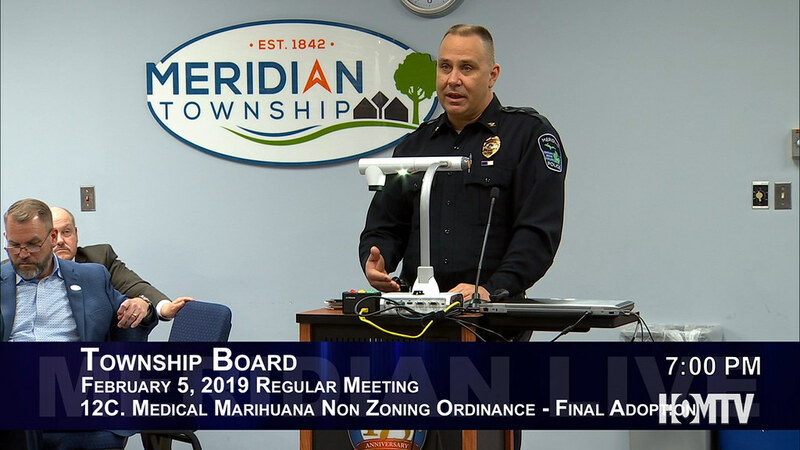 MERIDIAN TOWNSHIP - During the Meridian Township Board meeting on February 5th, the Board addressed concerns and final adoptions for the Medical Marihuana Non-Zoning Ordinance first introduced in August 2018. Majority of the discussion and adoptions made to the ordinance included changing the processing permits from six to three in which those changes made might reduce the number of growing locations. According to Clerk Brett Dreyfus, he sees that majority of citizens are in favor of what is going on and followed up with two data points. He shares results from both general elections from both 2008 and 2018 where the numbers show how citizens feel as a majority towards the ordinance. Dreyfus shares, "In 2008 in the general election when the medical marihuana act was first on the ballot in Meridian Township 14,451 said yes 7,557 said no. This is 64% of Meridian Township residents who said yes and 36% of residents who were not in support. Ten years later when legalized marihuna is on the ballot in the November 2018 general election, there were 12,736 citizens who said yes to the legalization and 8,201 citizens who voted no." Trustee Patricia Herring Jackson shared her views and stated they have never asked law enforcement of their outlook on the impact of medical mariihuana and the ordinance act and shared that Supervisor Ronald J. Styka asked the Meridian Township Police Chief of his general impressions and the ordinance opening the floor for Police Chief Ken Plaga. Police Chief Plaga says he spoke with several of his counterparts and how it impacts law enforcement. Plaga feels it will impact the operation of their law enforcement agency and place a burden on staff time and call for service providing two specific examples of the burden and increased safety needed with the act. Chief Plaga recalls when his staff arrived to a Medical Marihuana caregiver grow operation where there was a double homicide on Lake Lansing Road. In another incident occurring the Tuesday morning before the meeting, the Chief and his staff recovered a Meridian Township van that morning used for a breaking and entering situation involving two provisionary centers and several pounds of marihuana stolen. "As far as experience, it is a new thing to experience. If getting six facilities in the township, these centers will have a greater strain on law enforcement agencies," says Chief Plaga. Supervisor Styka shared his viewpoints and recommended that they change processing permits from six to three which can be consistent with the growing, allowing a connection with growing and processing at three each. Clerk Dreyfus supported Supervisor Styka and suggests they reduce transporters to three growers and three processors. 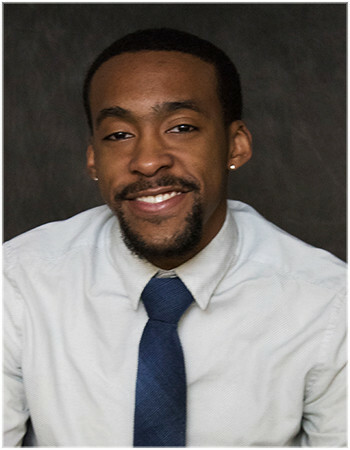 He goes in depth identifying three areas that would be best suited for them and away from residential areas: Area 1 located by the edge of the Township on North Town road and Marsh road, Area 3 in the Dawn Park area and Area 5 near Hagadorn Road. Trustee Jackson shares that in the non-zoning ordinance, she doesn’t think we can do designations here but we can handle the maximum numbers of the different type of categories. Clerk Dreyfus clarified that his intent in his motion was to reduce processors to three and secure transporters to three which all of the Board supported. To add to the final adoptions, Trustee Dan Opsommer motioned for a technical amendment to page 5 of the ordinance that the language be more clear. After talking to attorneys, he states that they've pointed out clarifying the line stating any resident or multiple residents with 75% ownership interest or greater would preclude language that a non- stock business may have two or three parties in that 75% share. He recommends giving attorneys the platform to come up with a better language before the final adoption next time. After long discussion of Trustee Opsommer's motion and coming to a clear communication on his stance, he then withdrew his original motion and presented a new motion that the township does not accept provisional qualifications from LARA in the Medical Marihuana Non-Zoning Ordinance which the motion passed. Supervisor Syka concludes by sharing that we will be seeing the zoning ordinance within a month after now finalizing all adoptions to the Medical Marihuana Ordinance.